EcoPartners, Tirana, and BlueLink.net, Bulgaria, launched Rural Watch - a EU-sponsored initiative to improve quality of life and ensure a clean and safe environment by addressing pressing issues caused by extractive and energy industry (EEI) in the rural areas of Albania. Rural Watch aims to improve environmental performances of energy and extractive industries in selected rural area hotspots across Albania, including: Chromium industry near Bulqiza, Hydropower Plants on the rivers Mat, Shkumbini River and the Shushica tributary of Vjosa; and oil extraction near Roskovec. Other purposes of the project are to increase transparency and accountability of public authorities and businesses related to EEI in rural areas. The goal is to get rural communities better informed and empowered for monitoring and control of EEI’s impact in rural areas. The project started in April 2018 and activities will last until March 2020. 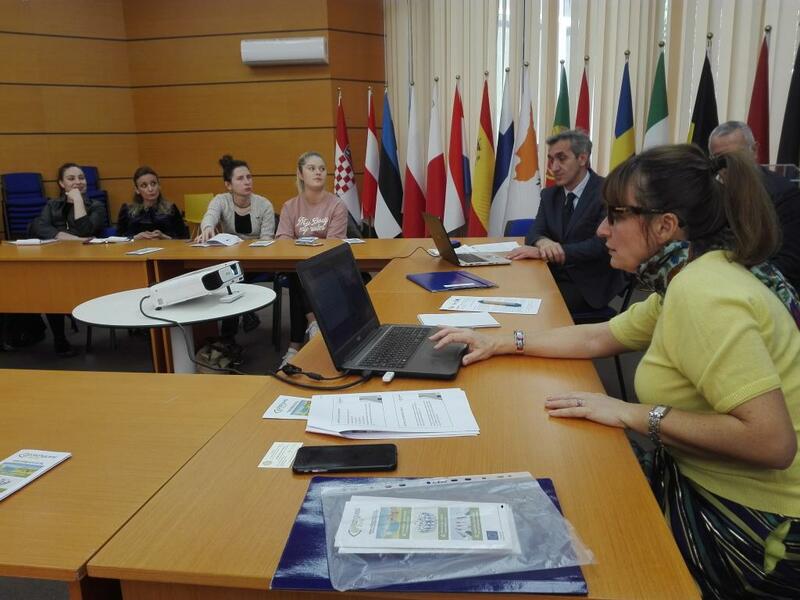 During the project’s first months a team of experts has studied the policy framework, environmental and social consequences from EEI, and the opinions and interest of local people in rural areas. The outcomes showed that the increasing pressure and intensity of economic development in these areas (e.g. mining, hydropower plants) necessitates the need for a strong civil society. Local citizens should be able to keep competent public authorities and businesses accountable to environmental, health and safety standards and regulations, said Entela Pinguli, Director of EcoPartners and Co-ordinator of the Rural Watch. Rural Watch employs solid experience in watchdog journalism, raising public awareness, and access to information and justice in Bulgaria and across South Eastern Europe, brought in by BlueLink.net - a pioneering civil society e-network, founded in Sofia in 1998. Bulgaria's Ambassador to Albania Momchil Raychevski joined Rural Watch leader Entela Pinguli and BlueLink's experts Dr Pavel Antonov and Dr Plamen Peev at the launching media event of the project (see photo). for journalists and public communicators, willing to improve their investigative and story-telling skills in covering EEI. Сivil society activists will be trained in effective campaign planning, legal tools, access to information, fundraising, monitoring and control over EEI. Public interest lawyers will get trained in specific environmental law issues and applicable instruments such as the Aarhus Convention on access to justice, information and public participation, on EIA, SEA and integrated permitting law and other environmental procedures, as well as strategic communications. Participating journalists will master quality independent journalism techniques and story-writing on EEI impacts in Albania’s rural areas. for active citizens and NGOs in Prrenjas - on September 17 - 19, 2019. An expert group of CSOs, public interest lawyers and journalists and has been established to monitor and control EEI. The project will hold two pubic forums on the application of EU and global sustainability rules and standards in Albania’s local context (e.g. on mining and hydropower) The discussions at the forums will bring in opinions of a wide range of stakeholders, ranging from the local communities and their CSOs who are usually underrepresented or not heard by the business and public authorities, to EEI businesses, public authorities and academia. Rural Watch will offer legal support provided to NGOs and community organisations. Independent lawyers to follow 5 legal cases of monitoring and control on EEI will be followed and advised by the project. Requests from groups and citizens for legal support will be carefully examined by the team, with the intention to offer effective support where critically needed, explained Dr Plamen Peev, a Tallin-based international environmental lawyer, working for Rural Watch. Rural Watch has launched an online resource and communication platform at <https://www.vezhguesirural.org/>, which will contain policy and campaigning resources, articles, publications, best cases and expert opinions. The website will be filled in with resources on EEI monitoring and control for CSOs, journalists, lawyers and the general public, said Dr Pavel Antonov, Executive Editor and Co-Founder of Bluelink.net. He assists Rural Watch in developing an information and media campaign, where Albanian journalists can participate with stories and reporting. Rural Watch will feature at least 12 journalistic articles about successful attempts of cooperation and upholding public interest in rural sustainability cases across Albania. Selected stories will be published in English by BlueLink Stories - a regional environmental e-magazine. The project also plans posters, TV programs, TV spots and other visibility actions. A final conference will be held in March 2020 to round up the outcomes and promote the lessons learned and best cooperation cases with CSOs and industry and relevant public authorities. To be able to keep standing for democracy, nature protection and shared European values and support civil society, BlueLink relies on your donations .